Charles Mill Lake is a flood control reservoir located in western Ashland and eastern Richland counties. 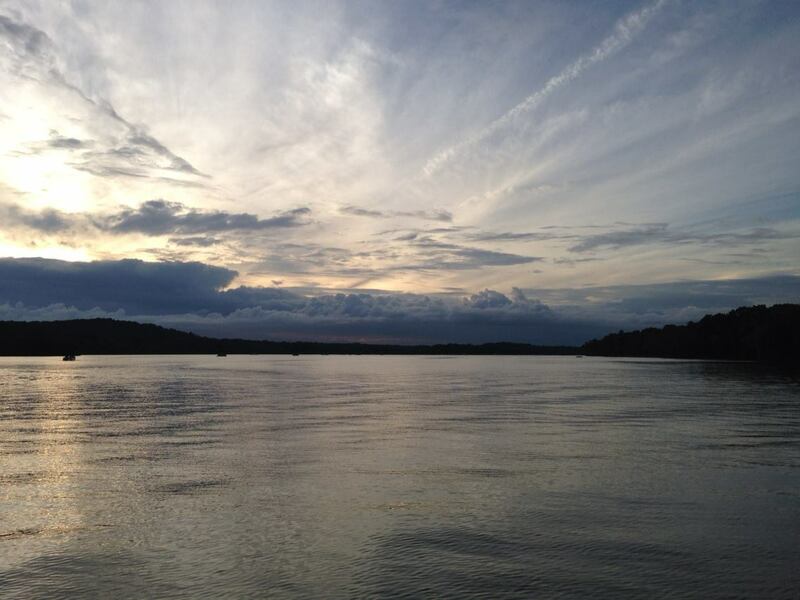 It is managed by the Muskingum Watershed Conservancy District (MWCD) to provide north central Ohio with recreational opportunities like fishing and camping as well as protecting downstream properties from periodic flooding. The MWCD provides full-time park rangers to patrol the land and enforce Ohio watercraft laws. 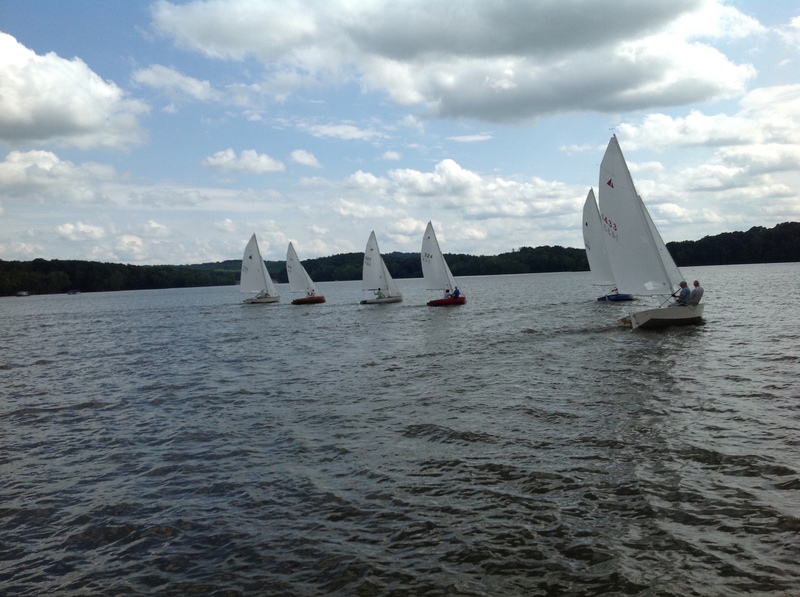 The southern portion of the lake is perfect for our sailing activities. Triangular race courses for sailboat racing can be set up in any direction depending on wind conditions. An additional advantage of the lake for sailors and paddlers is the 10 horsepower limit for power boats, which makes the lake a quiet and safe environment for sailors and paddlers. Click here for information on Charles Mill Lake Level. One of the first priorities of the founding members was to build a clubhouse and provide parking and a launch area for their boats. 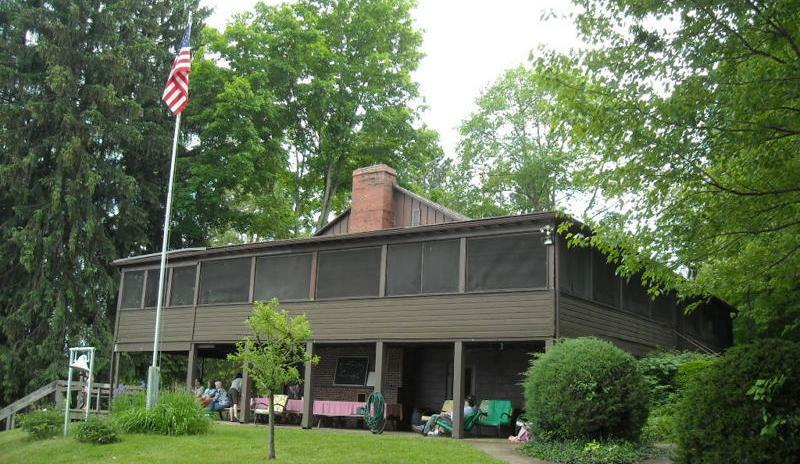 The clubhouse has been updated throughout the years to provide bathrooms and showers, a modern kitchen, and a large propane grill, but it retains a rustic appearance and tradition with a large ballroom, three fireplaces, a screened-in second-story porch, a ground-level porch with picnic tables, a “Foc’s’l’’ or card room, a “Bos’n’s Locker,” and a bar. The waterfront consists of an electric hoist, launch ramp, three long docks, and temporary parking for cars and trailers. 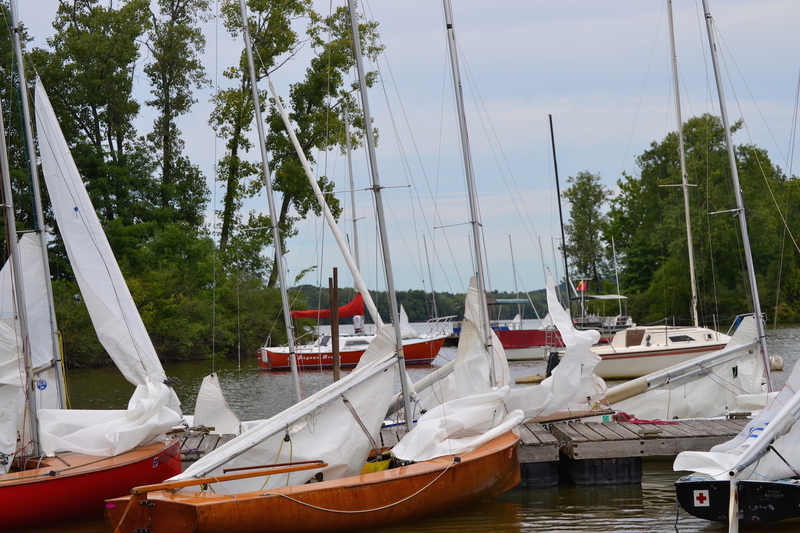 Moorings are available for those who prefer leaving their boat in the water. A boathouse provides storage for club supplies and equipment.